This year’s campaign calls for all people to receive integrated, quality health care at the heart of the community. On April 9, PAHO will present a report in Mexico with recommendations on achieving universal health. Washington, DC, 3 April 2019 (PAHO)- Millions of people in the world still lack access to health care and many are forced to choose between spending on health and other daily expenses. It is estimated that in the Americas around one third of the population lacks access to health care. 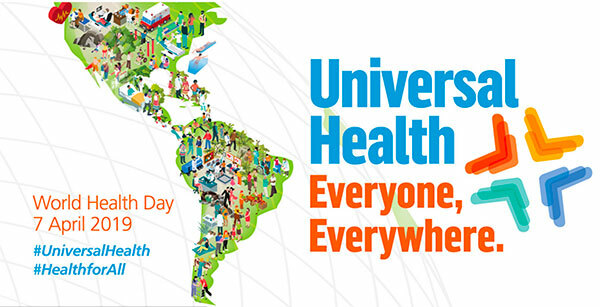 In the framework of World Health Day, the Pan American Health Organization (PAHO) is calling for equitable access to comprehensive and quality health care. The countries of the Region have made important progress in health, which is reflected in the 16-year increase in life expectancy over the past 45 years, as well as in a reduction in infant mortality. However, challenges still remain as these gains have not been equitable. On April 9 and 10 in Mexico, PAHO will present the report Report of the High-Level Commission ¨Universal Health in the 21st Century: 40 Years of Alma-Ata¨. The report will provide recommendations on expanding access and health coverage in the region by 2030, without leaving anyone behind. The presentation of the report will be led by the President of Mexico, Andrés Manuel López Obrador; the Director of PAHO; the Assistant Secretary General of the Organization of American States (OAS) and President of the Commission, Néstor Méndez; and the United Nations High Commissioner for Human Rights, Michelle Bachelet. In celebration of World Health Day, PAHO/WHO also invited countries to create chains of human solidarity in order to show their commitment to universal health, and to share the photos of these on social media using the #HealthForAll hashtag. Primary health care (PHC) is the foundation for achieving universal health. It is an approach that involves integrated, quality health services that focus on promotion, prevention, treatment, cure and rehabilitation. PHC puts care at the heart of the community and is not limited to the first level of care, nor to a limited package of health services. “We need transformative primary care within an integrated, efficient, organized health system, with interdisciplinary health teams that work in networks that include basic and specialist levels, and where the individual is at the center of kind, respectful and quality care,” said Dr. Etienne. PAHO also advocates for all people have access to education, food, housing, financial protection, safe drinking water, safe environments and other determinants of good health that fall outside the health sector itself. This year’s World Health Day campaign also focuses on solidarity and equity, core values of universal health. These values emphasize the need for society as a whole to contribute to the promotion of health for all people, particularly the most disadvantaged. They also emphasize the need for decision makers to focus policies and programs on the provision of quality services that ensure access to health for these populations, without leaving anyone behind. 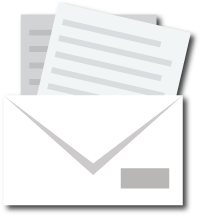 “Health care expenses are a major barrier to access for people in poverty and discourage many from seeking care, putting their lives at risk,” said the Director of the Department of Health Systems and Services at PAHO, Dr. James Fitzgerald. In most countries in the Region, the levels of out-of-pocket spending on health account for over 25% of total household expenditure, a figure that puts people at risk of facing catastrophic expenses, an issue which PAHO recommends that countries tackle. Dr. Fitzgerald also emphasized that impoverishing health expenditure threatens the achievement of the United Nations’ universal health and poverty elimination goals by 2030. Achieving universal health requires the transformation of health systems, a sufficient number of trained, well-distributed health professions, and the availability of affordable medicines and technologies. Currently, 800,000 additional health workers are required to meet the needs of health systems in the Region. The high cost of medicines, as well as the growing number of people with chronic illness that require life-long medicines, are also a risk to the sustainability of health systems. Greater and more efficient investment in health is also required in order to achieve universal health and is fundamental for the development of countries. In 2014, the Ministers of Health of the Americas adopted the Strategy for Universal Access to Health and Universal Health Coverage in PAHO. Since then, PAHO/WHO has provided technical cooperation to help countries improve the efficiency and effectiveness of their health systems, and to increase public investment in health to at least 6% of the Gross Domestic Product (GDP), the minimum level agreed in the strategy. Currently, average investment in health in countries of the Americas stands at 4.2% of GDP. In countries where investment in health is 6% or more of GDP, coverage is better and universal health is closer to being achieved. A PAHO report shoes that increasing public revenues for health can be obtained through higher taxes overall, as well as higher taxes on harmful products such as tobacco and alcohol. It can also be achieved through reforms to improve the collection and administration of taxes, as well as through measures to control corruption, something that requires both political will and social consensus. World Health Day 2019 takes place at the halfway point between the World Conference on Primary Health Care in Astana (Kazakhstan), and the High-level Meeting on Universal Health Coverage, to be held in the United Nations General Assembly in September 2019.